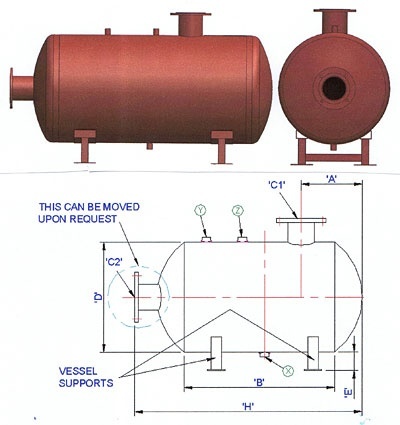 Buffer vessels can be produced either horizontal or vertical in both carbon steel or stainless steel. 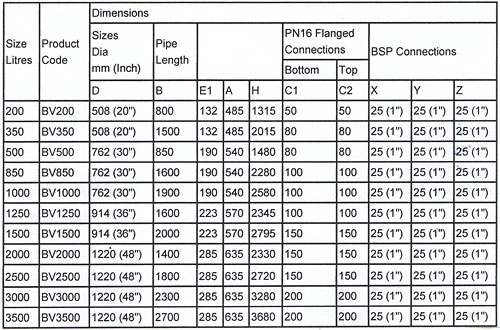 Please see the two tables of examples of each. These are only a guide, they can be produced as bespoke units to match the design requirement of your project. 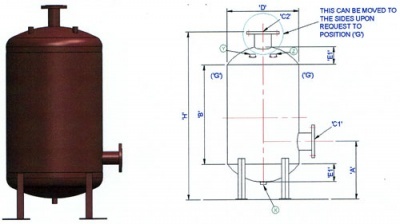 We can often add F&R tappings which may save separate horizontal headers on the plant. Similarly, also see our bespoke magnetic LL/LV headers in the relevant section of this website. 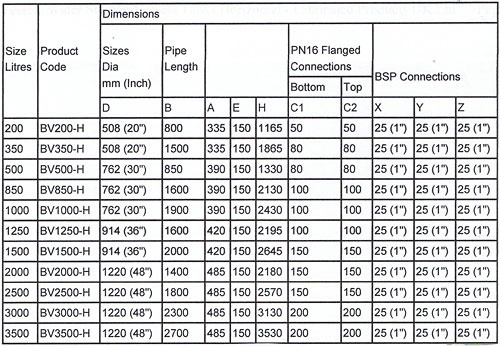 Size chart for our standard vertical buffer vessels. All dimensions ± 10mm. We can however manufacture to your own specification either in carbon steel or stainless steel.